Are you new to Pilates? You'll start with our 3 Private Session Intro Package ($179, Save $46). 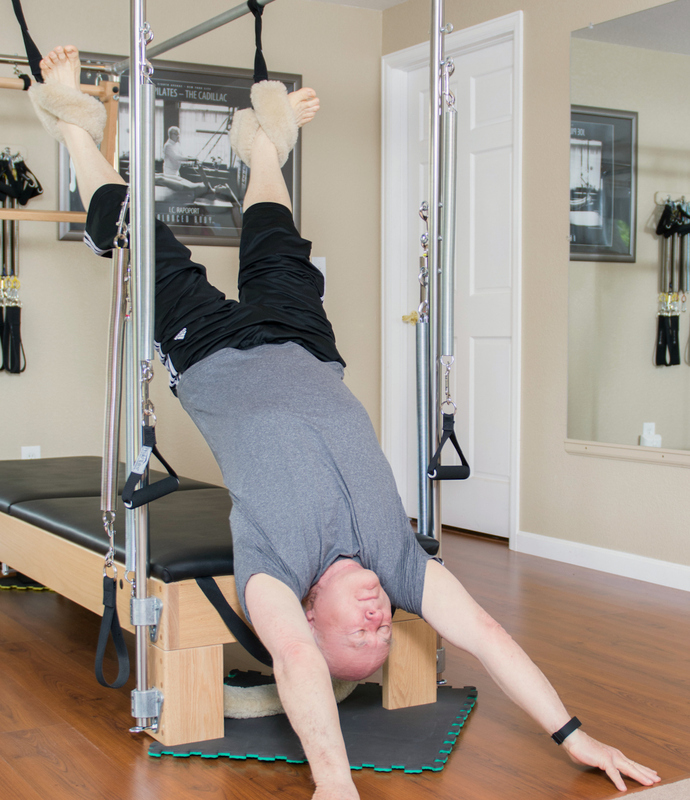 We'll teach you Pilates fundamentals and some beginner exercises on the equipment. You'll also learn all the parts of the equipment and how to change springs for different exercises. Only interested in mat classes? You'll need a minimum of 1 private session to learn matwork essentials before joining a group class setting. Purchase your session(s) then request an appointment online. Or feel free to contact us for assistance! Do you have Pilates experience? Contact us and we'll talk to see what will be the best fit for you! We recommend all clients begin with our 3 Session Introductory Package ($180, Save $25), but a single session may also be purchased for the first consultation. Purchase your session(s) then request an appointment online. Contact us if you have any questions or want assistance booking your first health coaching appointment. Please download and fill out the new client forms below. We appreciate our clients being mindful of these policies! All sessions and classes are 50-55 minutes. Please dress in well-fitted athletic attire. We accept cash, check or credit card payments. Refunds are not available but account credit might be given based on specific stiuations. If you are more than 10 minutes late for a group class, you will not be admitted and you will still be charged for it. If there is low class attendance, the studio may cancel class or ask if the attendees would like to take the session as duet for the discount duet package price. In the case of inclement weather, the studio will follow the Cherry Creek School District. Our studio is located in Aurora, CO on E. Smokey Hill Rd and Ponderosa. We are open by appointment only. Copyright © Pharonik Pilates. All Rights Reserved.